IT COULD be a bad year for housing prices if building approvals are anything to go by. With the housing market teetering on the edge of a serious downturn, apartment developers seem to be having a "last blast". The timing of this big push is fascinating because November is exactly when Australian capital city housing prices started falling. Corelogic shows prices fell by 0.1 per cent in that month as Sydney took a sharp downturn. The developers didn't know in advance that was going to happen, but they might have sensed it. After all, what could drive such a big uptick in building approvals is the sense that it is now or never. 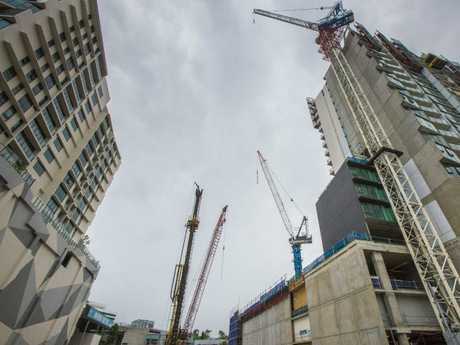 Builders who have just got their approvals will be racing to get their apartment blocks and new developments done before everyone else. Those who finish early can hope to get in before prices really slump. Any who have delays will be worried they'll end up selling into a soggy, lifeless market. Markets are supposed to co-ordinate supply and demand. But that's a hard job when supply takes a long time to come online. If you're halfway through building a big development when the market falls by 10 per cent, you're in a bind. The losses involved in finishing the properties and selling them for less than they cost to build will almost certainly be smaller than the losses involved in abandoning the project, so you have to push on to get at least some money back. This is the essence of the boom and bust cycle that characterises property. Some very large developers might finish properties and then sit on them, hoping the market improves over time, but that's also a risk. Markets can take a very long time to recover. Another explanation for such a massive jump would be if a single large project came through the pipeline in the month of November. A giant apartment development somewhere in Melbourne, for example. For now, it's not clear if that's the case. Whether it is one project or many, the impact on housing markets of a big rush of supply is largely the same - extra supply generally makes prices lower than they would otherwise be. 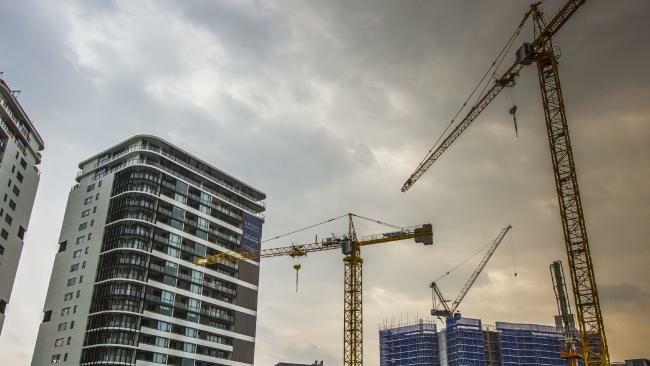 Some smart developers have already got out of the property development game, telling the financial press they are sitting out until the market repairs itself. The so-called "pipeline" of new building had been shrinking. 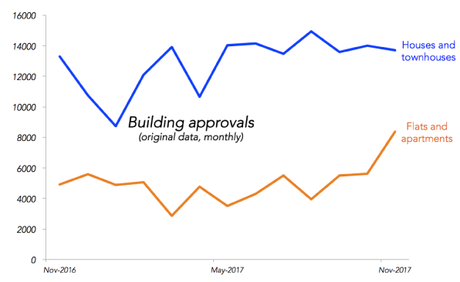 The November building approval data shows a different picture. It suggests the pipeline might get fatter again for a little while and there could be one more flurry of cranes going up. The one caveat is this - builders can pay to get a building approval and then not use it. That might be the best case scenario. The big question hanging over Australia's high housing prices is whether a housing downturn can happen without also crashing the economy. A gentle and controlled downturn might be a positive - young people can afford to get into the market more, but people don't feel like the sky is falling.